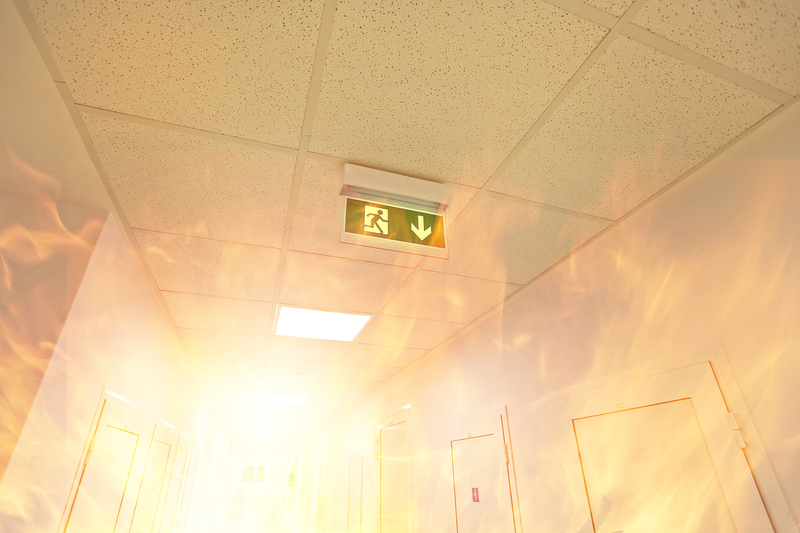 Unfortunately, some organisations are turning to desktop fire safety training as a shortcut to physical evacuation training, in a bid to remove the interruption that can be associated with physical drills. This is particularly prevalent in environments where there is perceived to be limited down time, such as hospitals or hotels, or in industries that want to minimise disruption such as schools or aged care facilities. This can have devastating consequences and should be carefully managed. While it is possible to deliver a portion of evacuation training to fire wardens at their desk, Wormald considers physical training vital for creating safer workplaces by simulating a realistic and comprehensive evacuation scenario. Have a clear evacuation plan for each room and display it in a prominent position. Where possible, include people with physical, hearing, or vision impairments in the planning process to ensure their needs are met. Seek to ensure every employee is aware of evacuation procedures, the latest regulations, and how to use fire protection equipment so they can confidently manage an emergency situation. Conduct physical training to improve the confidence and awareness of staff members, making them more efficient and responsive in an actual emergency situation. Following an evacuation drill, debrief with staff. It’s important to affirm the parts of the evacuation that went well, and to develop learnings or new plans if parts of the evacuation were unsuccessful. Regularly check evacuation routes to ensure they remain clear of obstacles. If necessary, place signage around the facility to remind people not to block exits and thoroughfares. Consider working with fire safety professionals to ensure your evacuation plans are comprehensive and effective. Professionals can help to identify potential issues and offer ways to correct them. Generally, under Workplace Health & Safety (WHS) legislation, health and safety officers can be held personally liable if an emergency occurs and the evacuation plan doesn’t work. It’s vital to take the necessary steps to protect people’s safety. That means conducting physical fire safety training to ensure everyone is adequately prepared for an emergency. Wormald provides a suite of fire safety training solutions and courses, and can tailor a program to meet your safety and compliance requirements. For more information, visit www.wormald.com.au or call 133 166. This entry was posted in Fire protection planning and tagged evacuation traininng, fire safety training by wormaldblog. Bookmark the permalink.